Well, welcome back for some krafty fun and the last challenge of 2013 here at Kraftin' Kimmie Stamps!!! Hope you can play along as we've got another great challenge for ya! It's awesome to see so many of you creating with KKS!!! Keep them coming! This challenge will stay open for TWO weeks! This week our hostess is .....Kimmie!! And her challenge is a FUN SKETCH!! So create a card, scrapbook page or altered item with a Kraftin' Kimmie stamp that is inspired by this sketch!!! Sounds fun!! Join us this week because we'd LOVE to see your KKS designs. We hope you can play along for your chance to WIN some Kraftin' Kimmie rubbah!!! I've used the reto cutie, Samantha! That's right, she back in stock, so her grab while she's hot! Did you hear about our new SHARE to WIN challenges?? We introduced the new WONDERFUL WEDNESDAYS a few weeks ago, so go HERE to get all the information and play along with us!! Now you have MORE chances to play with your Kraftin' Kimmie Stamps and more chances to WIN!! And the current WW challenge is open for THREE weeks over the holidays! Also here's a little secret....we'll be having our Annual BOXING WEEK SALE starting on December 26th!! So if you happen to get a little $$ for Christmas, here's the perfect way to spend it! On Krafty goodies for YOU!! Almost EVERYTHING will be on SALE! Now on to the challenge!! Check out the wonderful creations by our Krafty Girls and Guests featuring this week's challenge!! If you join us and play along, you could WIN a Kraftin' Kimmie Stamp! Krafty Peeks at Kraftin' Kimmie Stamps: Day Two! 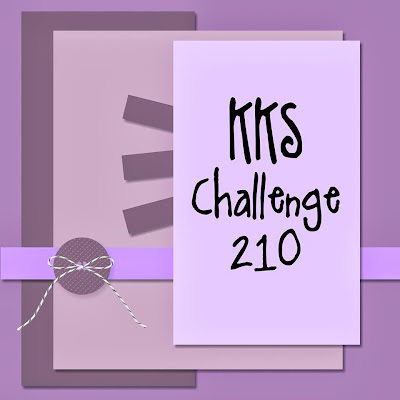 12 Days of Krafty Kreations...Day Twelve! It's Ugly Sweater Time with Art Impressions!